A few days before our 25th Anniversary Gala, AECP Founder Dr. Roger Ohanesian received a letter from President of Armenia Serzh Sargsyan, who congratulated him and the Armenian EyeCare Project on 25 years of service in Armenia. Below is the letter in Armenian and its translation in English. 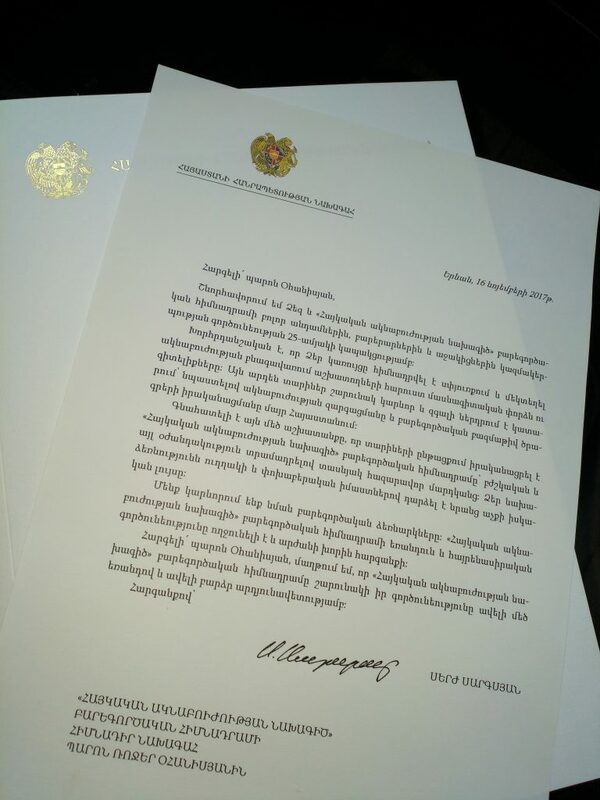 Our organization is extremely humbled to have received this letter of acknowledgment from Armenia’s president. We are proud of all that we have accomplished in Armenia in the past quarter century and are eager to help many more children and adults in Armenia through our sight-saving programs. We thank Armenia and its government for the continuous support! I congratulate you and all the members, benefactors and supporters of the Armenian EyeCare Project on the 25th anniversary of the organization’s activities. It is symbolic that your organization was created in the Diaspora, and has united workers in the ophthalmological field with rich specialized experience and knowledge. For many years that has constituted an important and considerable input in the promotion of ophthalmological development and the implementation of numerous charitable projects in Armenia. 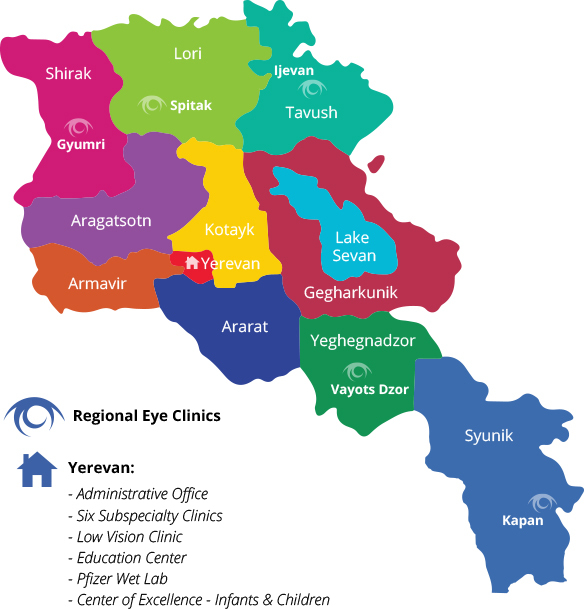 The huge accomplishments of the Armenian EyeCare Project over many years are significant in the medical support and other aid that they have provided to thousands of people over the past two and a half decades. Both concretely and metaphorically, your initiative has become the light of people’s eyes. We place a very high value on such charitable undertakings. The Armenian EyeCare Project’s dynamic and patriotic activities are commendable and worthy of deep respect. Respected Dr. Ohanesian, I wish the Armenian EyeCare Project continued activity with even more vivacity and ever more productivity.